installation design for the new institute pavilion at the 2013 bi-city biennale of urbanism/architecture in shenzhen (in collaboration with lu liang). 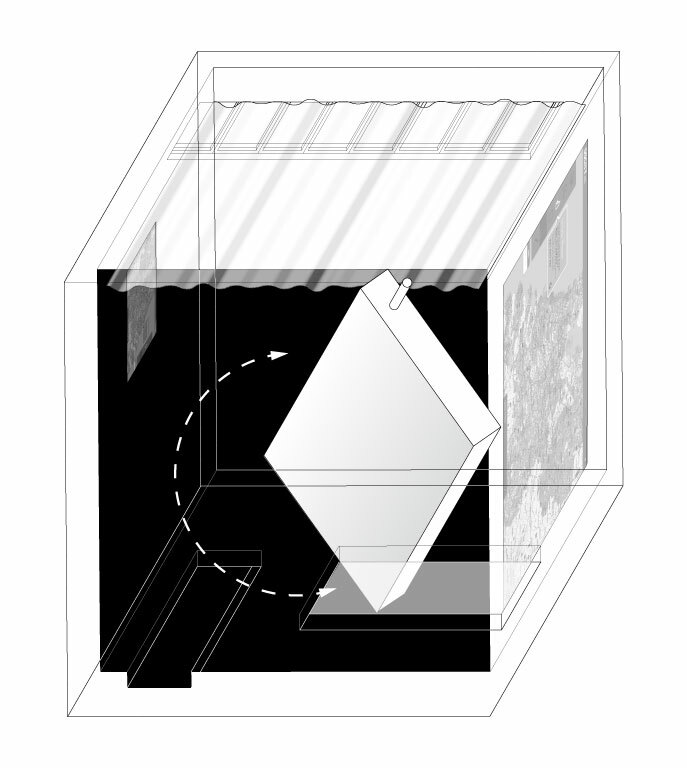 1 – axonometric drawing of the new institute pavilion. 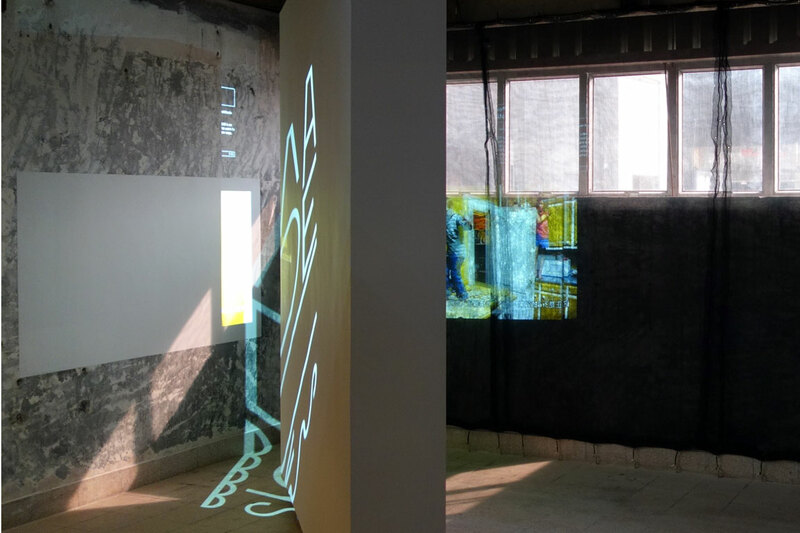 2 – video projections obscured and distorted by rotated wall. 3 – view into room through the reflected image. made by us, curated by the mobile city, is a research program at the new institute that explores the concept of smart cities. the biennale pavilion showcases videos by three new media artists participating in the program. the installation expands on the central idea of made by us: “that digital media allow for flexible, instant programming of spaces, that they can be used as a ‘territory device’, a way to temporarily change the function of a space, or add extra layers of meaning, rules, etc.” the design consists of a large rotating wall in the center of a room. one side of the wall is mirrored. visitors are invited to rotate the wall to make their own configuration of the room. the videos projected on different surfaces in the room are obscured or reflected by the rotating wall. 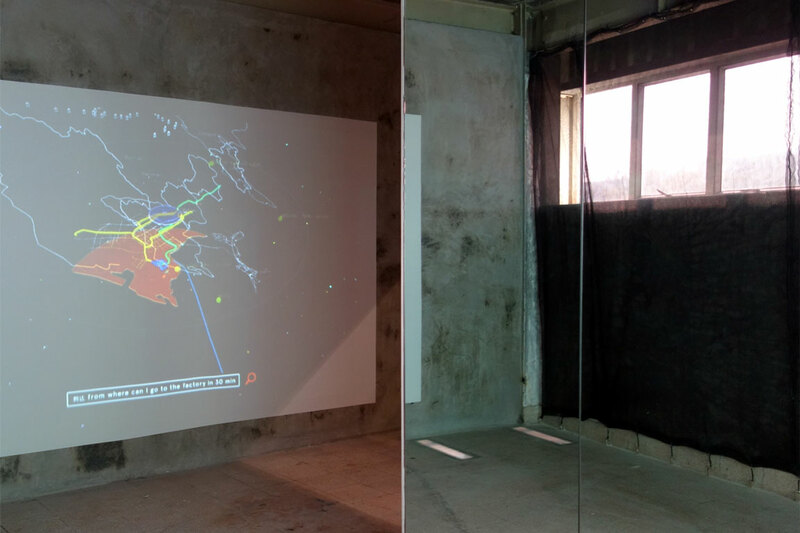 each position of the wall changes the perception of the space, and how the projected videos are viewed in relation to each other.